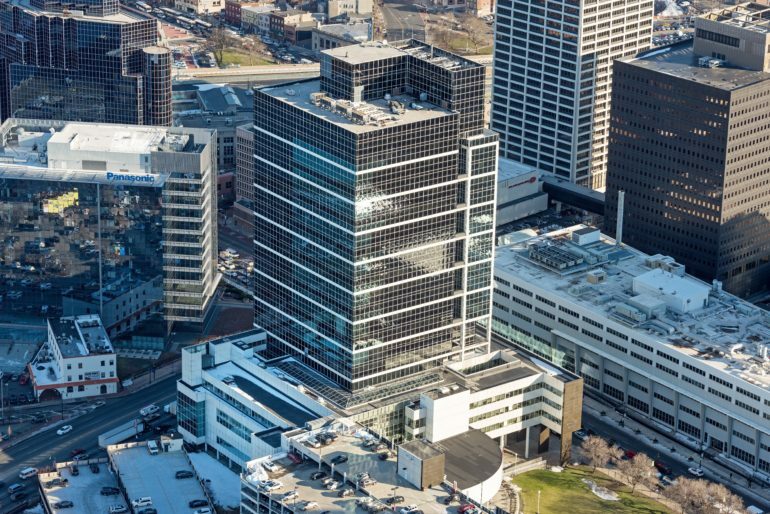 The owner of a prominent, 22-story office building in downtown Newark has named Colliers International as its leasing agent. In a news release Monday, the real estate services firm said it will work on behalf of Beijing Ideal China Group Co. to market and lease One Newark Center, which sits on Raymond Boulevard between McCarter Highway and Mulberry Street. The property spans roughly 526,000 square feet, with about 423,000 square feet of rentable office space. The Colliers leasing team includes executive managing directors Frank Gunsberg and Bryn Cinque, Senior Managing Director Jim Bailey and Associate Stephen Graziano. They are marketing floors six through 22 of the building, noting that Seton Hall University School of Law owns and occupies floors one through five. The team cited One Newark Center’s location a block from both Military Park and Newark Penn Station, with easy access to Newark Liberty International Airport and mass transit. Amenities at the tower include a full-service café, sundry shop, on-site management, covered parking and 24/7 security.